A colleague of mine recently shared a link to a thought-provoking article by Travis Bradberry looking at How Successful People Work Less and Get More Done. Chock full of useful insights, the one that resonated with me most profoundly was the research he referenced about the “dangers of multi-tasking”. 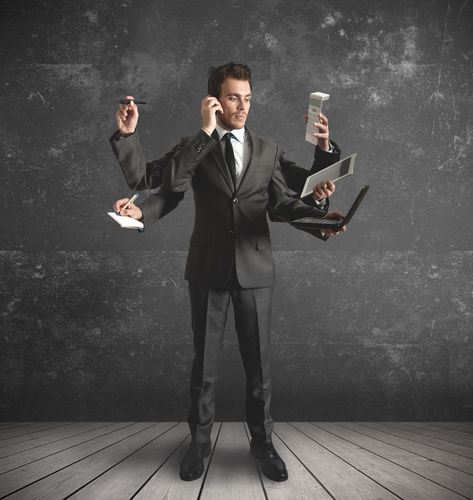 Aside from lowering productivity, trying to juggle multiple tasks at the same time can also have a material impact on the brain. Bradberry’s advice here – around focussing on one thing at a time – is spot on. Working on a single task with focussed intent and energy is mindfulness in action. It can even be akin to a moving meditation. Interestingly, research on mindfulness and meditation also shows the exact opposite effects to multi-tasking when it comes to grey matter in the brain. Sara W. Lazar and her colleagues at Harvard Medical School have produced numerous studies that show people who practice mediation and mindfulness have more grey matter. They also have more of it in areas of the brain associated with working memory, decision making, lateral thinking, and presence. Perhaps it’s worth considering doing just one thing at a time. And just do that really well.